This is a Vintage Halloween Label. The Label was scanned from an Antique Circa 1828 Printer’s book. Such an unusual image! 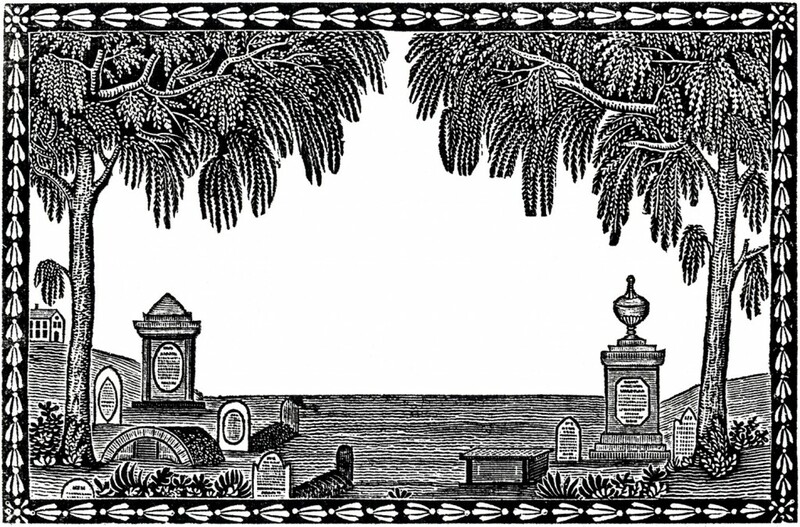 Featured here is a Graveyard, or Cemetery, with two Weeping Trees on either side. There is a primitive looking frame, going all around it. There is plenty of white space in the center, which I thought would be perfect for writing some text in. I think it would make a great Tag or Label for Halloween. I hope you can use this interesting image in your Projects! 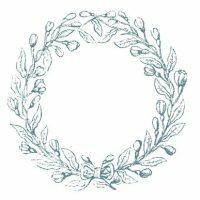 Vintage Clip Art – Lovely Delicate Wreath Frames Traditional French Costume Download! Vintage Prickly Flowering Cactus Botanical Graphic!